In lead poisoning questionnaires, they always list as living or spending a lot of time in a home built before 1950 or if it was built before 1978 and is being remodeled as risk factors for a child having lead poisoning. Why the differences? If I live in a home built before 1978 and it isn't being remodeled, are my kids at risk for lead poisoning? Lead is a heavy metal that has been used for a long time. From pots and water pipes to cosmetics and paint, lead has been used since ancient times. And of course, lead was added to gas in the 1920s to raise gasoline's octane level, making it perform better. But why was lead added to paint? Lead can be used as a pigment. Lead carbonate, for example, is a white paint made from lead, vinegar, and carbon dioxide, and was once used to paint the White House. It was also used in many classical European oil paintings. Lead paint can also be made in other colors and is durable and water resistant. Lead has been harming and poisoning people for as long as it has been used. Like the phrase 'mad as a hatter,' which was caused by mercury toxicity, another, 'crazy as a painter,' referred to the toxic effects of lead in paint. 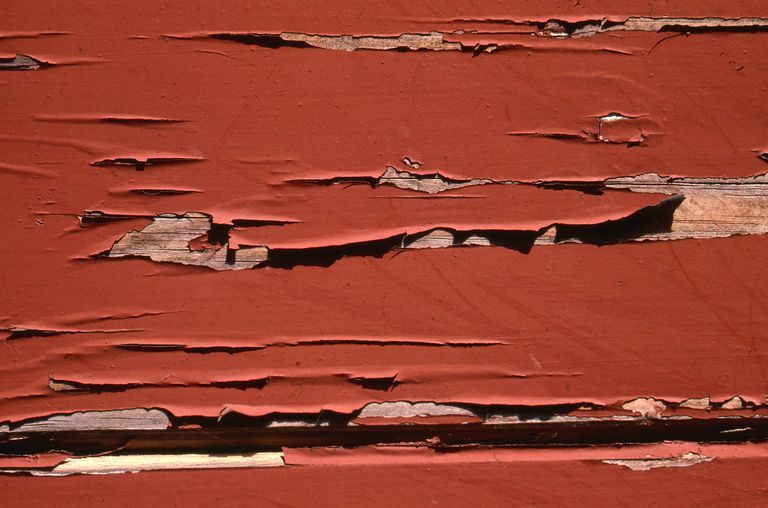 The first laws about lead paint were enacted in the 1950s. These early laws banned lead paint in some cities. In 1971, Lead-Based Paint Poisoning Prevention Act (LBPPPA) banned lead paint in Federal housing. Laws from 1971 to 1973 also lowered the allowable lead content in paint. Lead was finally banned from use in interior and exterior house paint in 1978 by the Consumer Product Safety Commission. Amendments to the LBPPPA in 1973, 1987 and 1992 further worked to reduce the risk that kids would be poisoned by lead paint. If your house was built after 1950 and you aren't remodeling it, then that likely wouldn't be as big a risk factor to another home that was being remodeled. While homes built before 1950 and homes built between 1950 and 1978 might all have lead paint in them, it is the oldest homes that pose the biggest risk. That is because an older home is more likely to be deteriorating, creating paint chips and lead-contaminated dust that can be ingested by younger children. And the lead concentration of the paint in homes built before 1950 is likely to be higher than in a "newer" old house. Your child may still be at risk if your house was built between 1950 and 1978 though. When you remodel one of these homes, by adding on a new room, scraping off paint, or tearing down a wall, etc., you may disturb lead paint and it may put your child at risk for lead poisoning. So according to the American Academy of Pediatrics, your child should be tested for lead poisoning "if they live in or regularly visit a house or child care facility built before 1978 that is being or has recently been renovated or remodeled (within the last 6 months)." In addition to lead paint, older homes can also put kids at risk because of older lead plumbing, causing elevated water lead levels. According to the EPA, lead was "used in some water service lines and household plumbing materials," including lead pipes, fixture, and solder until 1986. But it isn't just old houses that put kids at risk. Old schools can put kids at risk too. And surprisingly, legally "lead-free" plumbing materials in newer homes built until 2014 can be made up of 8% lead. That was reduced to just 0.25% by the Safe Drinking Water Act in 2014. To make sure your kids are safe from lead paint, if you live in an older apartment or house, built before 1978, you should either have an inspection for lead paint or a risk assessment for lead paint. Your contractor or a qualified lead professional can help you keep your family safe when you are renovating your older home. Keep in mind that children may also be at risk for lead poisoning if they play in the soil around an older home that may become contaminated with exterior lead-based paint. You can decrease this risk by not letting your kids play in the dirt around your home and washing their hands right away if they do. Discourage your child from chewing and eating non-food items (pica), such as dirt and paint chips. Run the faucet for a few minutes before using cold water for cooking, drinking or preparing infant formula (this can help flush out the lead which can build up in sitting water). Keep your child healthy and well nourished, since being undernourished is a risk factor for lead poisoning. Wash your child's hands after he has been playing outside, especially if he was playing in dirt. EPA. Understanding Inspection, Risk Assessment, and Abatement.